bSix12 – Do what makes you happy! » Eagle or Seashell? 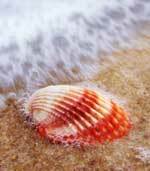 The Seashell had quite a boring life: The shell opens, water runs through; the shell closes. Open, close, open close… all day long. Next God created the Eagle. 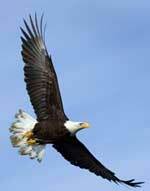 The Eagle had the freedom to fly over oceans and land and he had the ability to reach even the highest mountains. For the Eagle there were almost no limits – but for this freedom he had to pay a price! Day in and day out he had to fight for prey to feed himself and his offspring. It was not easy – however he was happy to pay this price. Finally God created Man. He showed him the Seashell and then the Eagle and asked him to decide which life he wants to live. Do you want the life of the Seashell or do you choose the life of the Eagle? I think everyone has their own choice, we just do ourselves. Wonderful storie I think all we want to be eagles and fly so high without matter the price and other times we want to be seashells and live in a simple way this it depends of the circumtances in what we live.Thank you. what a wonderfully simple but altogether true version of mans life. excellent!